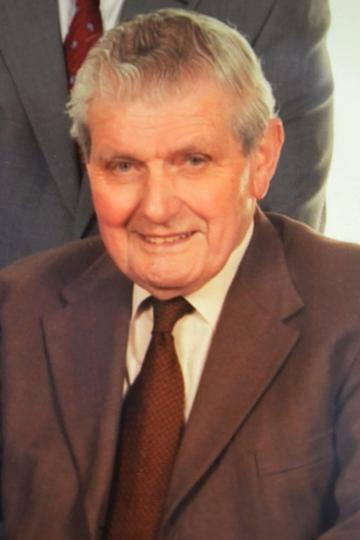 The Governors and Staff of Moneyrea Primary School were saddened to learn of the passing of former Moneyrea Principal, Mr Hugh Thompson. Hugh Thompson was the school's first Principal, back in 1961, when the Lyttle Memorial School closed. He is fondly remembered by many in the village, who now have families of their own. He was an inspiration to his colleagues and his students, leading them by example. Hugh loved local history, and published a booklet about Moneyreagh , which is still used today, when our children are finding out about their village. After his retirement Hugh maintained a keen interest in how his wee school was getting on, and took special delight in hearing of new building work and increased enrolment. His memory will continue to be celebrated in our inter-house sports, between, Thompson, Redpath and Stewart. Fondly remembered and deeply respected by all who knew him, a memorial service will be held at 2.00pm this Sunday in Moneyreagh Community Centre.